If there’s one thing many homeowners with a small kitchen want to do, it’s remodel it. But even if you can’t knock down the wall to add space to your kitchen, there are still plenty of things you can do during the remodel to make the space more efficient and conducive to an improved workflow. Plus, there are a number of tricks to make the space feel bigger than it actually is. 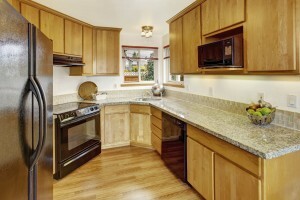 Learn more about remodeling your small kitchen, in our blog! 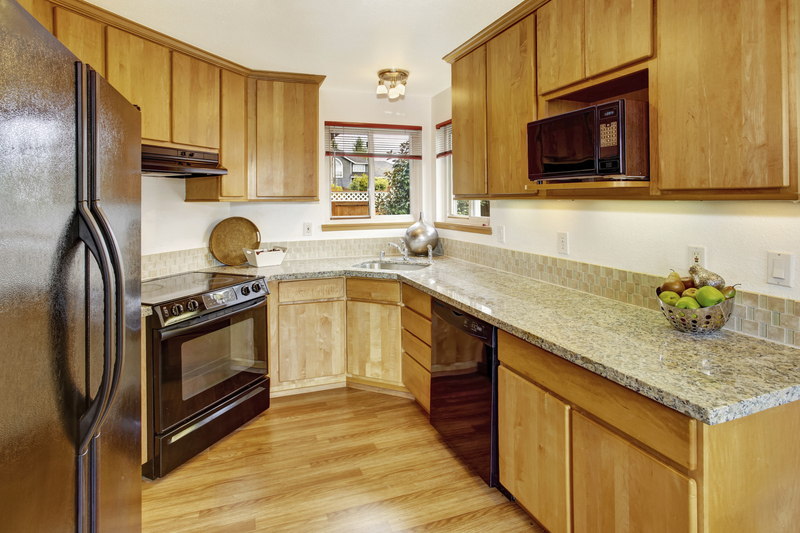 Check out these tips on remodeling your small kitchen! Neutral colors are best in small kitchens because they open up the space, making it feel larger than it is. Neutral colors includes whites, beige, and light grays. Neutral colors are always good for resale value, as they’re generally more popular than dark colors. Plus, many homeowners prefer the dynamic that light colors give to their kitchen. One of the most common mistakes homeowners make during a kitchen remodel is not extending the cabinets all the way to the ceiling. Most of the time, the space on top of the cabinets just gets wasted, when it could be used for more storage space. So make sure your cabinets extend all the way to ceiling in order to take advantage of this often underutilized space! Moving the sink to the edge of the counter. Spliting up the wall oven and the cook top, which will increase storage space under the counters. Creating a space under the counters where you can store small appliances so you don’t have to keep them out on the counter. Adding shelves on empty walls for storage. Are unpaid bills and debts preventing you from doing the home improvement projects you need? With a loan from Your Project Loan, you can pay off your bills and tackle projects at the same time! It has never been easier to take on your debt and home improvement projects with just one loan. Contact us today or fill out a simple 60-second loan application to learn more! This entry was posted on Thursday, July 16th, 2015	at 1:32 pm	. You can follow any responses to this entry through the RSS 2.0	feed. Both comments and pings are currently closed.